Zion's Fire III | Irene Abdou Photography, LLC - Travel. Lifestyle. Documentary. NGOs, Development & Public Health. 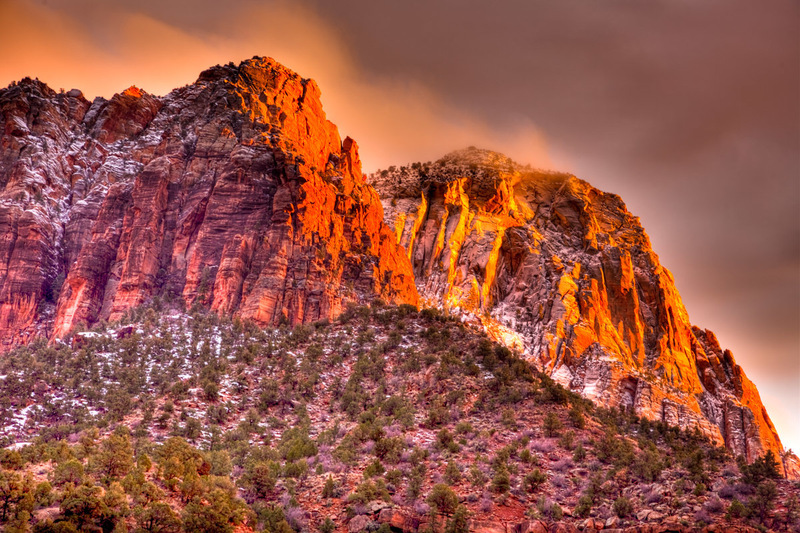 Wet from a recent snowstorm, the peaks of the Zion Mountains glow in fiery colors of orange and yellow in the last sunset light.